Presmult Dev, Author at Stratagem Security Inc. In Westchester County New York, there is a great need for reliable Fire Protection Services. As many new and modern homes and buildings are equaled by the historic and older homes throughout the Westchester area. Thinking now, is your property protected? Do you completely trust the system completely to keep your home, family, valuables or business safe? If you are hesitating in your answer, consider contacting Stratagem Security for a free evaluation. This offer is especially for those who can’t quite recall the last time they had tested their System. For Stratagem Security it is important to create a safe and secure environment for you. It means taking the proper precautions to detect a fire early because every second counts when a fire is ripping through your commercial property or home. Stratagem’s Commercial Fire Alarm Systems will not only alert you and your staff in the event of a fire but notify the authorities as well. Stratagem Security also provides service for Fire Alarm Systems, performs the required Inspections and Report preparation for many of the major brands on the market today. Stratagem Security can help you choose the right Fire Alarm System in Westchester County to ensure your property is protected. You need to be satisfied and feel comfortable with the level of protection you have, and Stratagem Security can help guide you to the right products for your needs. Stratagem Security can design, install, service, provide inspections, offer hardwired/wireless devices, Honeywell Vista, Silent Knight, Fire-Lite and Commercially rated wireless fire alarm solutions. 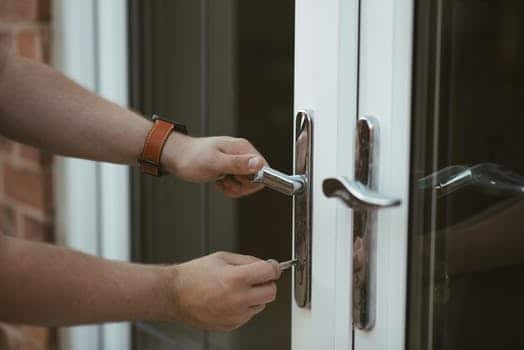 Stratagem Security has been servicing Westchester County and the tri-state area since 1974 and has extensive experience and knowledge in both home security and commercial products and services. They are committed to finding a solution to fit your needs, whatever they may be. Have an existing home security system or commercial security system that is old? Feel free to call them to discuss what Stratagem Security can do for you. There is no repair, services or installation that is too big or too small for them to handle. Stratagem Security is not afraid to tackle any smart home system, smart home security system, or home security system installation. Stratagem Security is committed to utilizing the most cost-effective equipment, installed in a professional manner with system expansion and further customer service in mind. Be confident in knowing that Stratagem Security will never use inferior equipment to do a cheap or inferior job. Stratagem Security proudly provides both residential and commercial security solutions to Westchester NY, Bronxville, Tuckahoe, Eastchester, Yonkers, White Plains, Ardsley, Hastings, Dobbs Ferry, Irvington, Tarrytown, Elmsford, Greenburgh, Mamaroneck, Larchmont, New Rochelle, Scarsdale, Mt. Vernon, Mount Vernon, Pelham, Port Chester, Harrison, Rye, Elmsford, Westchester County, Middletown, Monticello, Orange County, Suffern, Ulster County, Monroe, Dutchess County, Rockland County, Putnam County, Manhattan, Long Island, Suffolk County, New York City, Franklin Lakes, Wayne, Nassau County, Patterson, Newark, New Jersey, and Pennsylvania. Contact us to learn more! Commercial Security needs in the tri-state area are as varied as they are plentiful. Large businesses, smaller businesses and medium sized businesses have all relied upon Stratagem Security to provide that valuable confidence in your company’s choice for an all-encompassing security system. Just as an example, Stratagem Security can design, install, and service an Access Control System that best suits your application and budget. If you want to control the general public having entry to your business, limit access to specific employees or control times of access we can help implement the appropriate strategy. Stratagem Security will handle all phases of the process from system layout, and configuration, installation, servicing, inspections and testing. Stratagem Security is a security service provider offering reliable, state-of-the-art, custom security systems for businesses. They make it easy to protect your company, your assets AND your employees – without breaking the bank. You’ve worked hard to build your business. You shouldn’t have to work hard to protect it. Stratagem makes commercial security systems easy. With state-of-the-art technology and a commitment to personal service, Stratagem will work with you to design a system that works for you and your business. One business solution might be having 24/7 access to your Security and your life with Interactive mobile access. The use of “Smart” technology is no longer the way of the future… It is available through Stratagem Security now. Set up a consultation today with the key members of your staff and the exceptional crew at Stratagem Security to explain the needs and challenges of your particular business and how they can best provide the best way to protect your company , your assets , your employees and customers. Security cameras cut down on workplace theft and lead to higher levels of transparency on all levels of your business. Cameras and motion sensors also allow you to avert crime when you’re away from the office. Off-site central monitoring allows your company to be protected around the clock. By consulting with Stratagem Security your commercial interests are put in the highest regard so that your needs are met. An integrated security system is a shrewd investment back in your business. When you consider an integrated security system affords you greater peace of mind and the ability to control remotely, the benefits will certainly outweigh the cost. A quality security system can lower your commercial property insurance. Insurance companies set their rates based on perceived risk, and siding with a security system with dozens of alarms, cameras and sensors will decrease your chances of intruders and risk facing your business. Stratagem Security proudly provides both residential and commercial security solutions to Westchester NY, Bronxville, Tuckahoe, Eastchester, Yonkers, White Plains, Ardsley, Hastings, Dobbs Ferry, Irvington, Tarrytown, Elmsford, Greenburgh, Mamaroneck, Larchmont, New Rochelle, Scarsdale, Mt. Vernon, Mount Vernon, Pelham, Port Chester, Harrison, Rye, Elmsford, Westchester County, Middletown, Monticello, Orange County, Suffern, Ulster County, Monroe, Dutchess County, Rockland County, Putnam County, Manhattan, Long Island, Suffolk County, New York City, Franklin Lakes, Wayne, Nassau County, Patterson, Newark, New Jersey, and Pennsylvania. Contact them to learn more! Your home in Westchester, NY is in need of a top notch security system and you deserve the most advanced security measured available. Stratagem Security not only services commercial business, but home security, Home Camera systems and will install residential security/ Life safety systems that will work seamlessly with your lifestyle. Westchester County, NY is located from the majestic Hudson River to picturesque main streets, world-class shopping to historic homes and gardens, cutting-edge culinary innovation to scenic trails and natural beauty, Westchester has the wonderful lifestyle that you and your family have always wanted. But Westchester also has its fair share of burglaries. 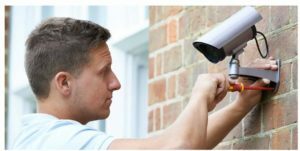 Your chances of becoming a victim of property crimes are getting higher and higher – That is why Stratagem Security and their home security installations and home security cameras are a topic that should be high on your mind. Stratagem Security provides integration services, Interactive services, Surveillance services. Technology has allowed for more sophistication in alarm systems. 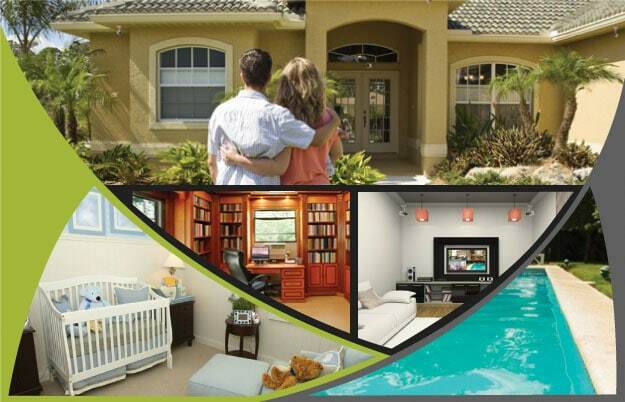 Westchester NY residents reap the benefits by choosing top of the line security equipment. With various interconnected wireless sensors and control panels fitted in your home, Stratagem Security monitoring systems make sure any suspicious activity is reported immediately to the concerned authorities. In addition to basic home protection equipment, Stratagem Security has all the latest in smart home equipment. Stratagem Security has the best security systems in New York and if you are looking for only the best, your search is over! Stratagem Security installs and services interactive services, access control, integration services, commercial/ fire, network surveillance, residential security and life safety. Stratagem Security is the first and last stop you need to make concerning your security system in New York. You are busy and at Stratagem Security our goal is to make your security issues a “non-issue” with control and awareness across the Connected Home and put a large ecosystem of devices at your fingertips through a single, intuitive mobile app. As you have searched for the best security systems in New York and come across product names like “exacqVison”, “Honeywell”, “Aiphone”, “Flir”, “Axix Communications” and “Samsung”. All the products we use, and have come to rely on to the great satisfaction of our commercial and residential customers. The Stratagem Security customers are not just satisfied with the work provided by our expert staff, but also the results of their unique requests and needs – take a look for yourself. Stratagem Security solutions are built with the with the standards and reliability that is required for 24/7 security. Your unique needs may require powerful, yet highly intuitive, cost-effective video surveillance products. From small, single-camera systems to large, scalable deployments with thousands of cameras, Stratagem Security’s team has the ideal security solution for nearly any application. Only the best security systems in New York like those provided by Stratagem Security can provide intercom solutions for communication and security, providing audio and video systems, specializing in access entry and control systems. Homeowner costs are not getting any lower. As you head toward what is expected to be a very warm summer you are now faced with how to manage your Energy output and intake better. What you are in need of is a strategy for your Energy Management Plan for the summer of 2018. 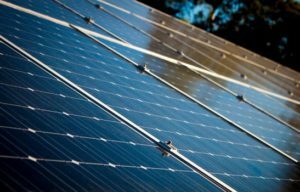 Does the Energy Management System integrate with solar and battery storage systems? 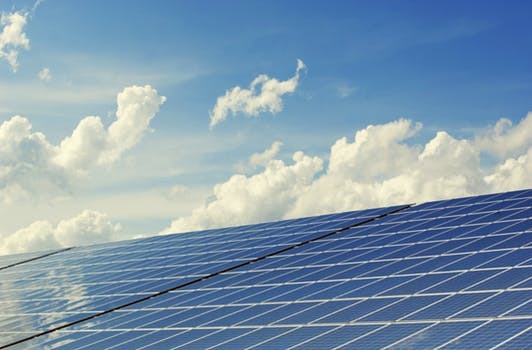 Your Energy Management System should know whether it will save you the most to pull energy from the grid, your batteries, or directly from your solar panels when the sun is shining. If you don’t have solar or batteries, your Energy Management System should be able to help you size up a system that is perfectly well-suited to your needs and budget – after helping you to identify and eliminate inefficiencies within your home. Does the Energy Management System let you remotely CONTROL devices in your home? Your Energy Management System, when determined in conjunction with the staff at Stratagem Security, will let you set timers and manually flip switches to cater to your needs any time you need to from anywhere. Can you justify investing in an Energy Management System that doesn’t allow you to do this? Does your Energy Management System know you and your family’s habits? Will it automatically work around them? It’s great to have a bunch of SMART appliances in your home – but your Energy Management Plan needs to be more than a SMART appliance, it needs to be “intelligent” too. From no-one being home during the day in the winter, to the kids being home for summer vacation. Or Mom enjoying shorter summer work hours, the system you choose needs to adapt around you. It needs to pick up on your general energy and usage patterns and offering suggestions or decisions accordingly. “Intelligent” systems do so much more than just SMART systems. When looking for the most effective Energy Management System for your home, Contact the experts at Stratagem Security at 914.777.5700. Stratagem Security proudly provides both residential and commercial security solutions to Mount Kisco, Yorktown, Harrison, New Rochelle, New Jersey and New York City. Contact us today to learn more about installing your most effective energy management system. At Strategem Security – we are not just known for providing residential and commercial security solutions to homes and businesses in Westchester’s Sound Shore communities – but we are also able to install and maintain “user-friendly” intercom systems as well. Contact us today and find out about our complete product list of “smart” home security systems. 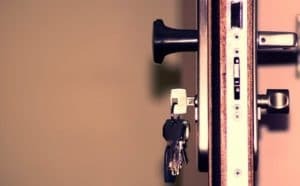 We feature the installation of products that allow us to install easy door answering systems or video entry security systems to improve home security throughout your home. We can provide a product line of home intercom systems are ALL efficient, adaptable, and expandable. We also offer a full selection of replacement components for your existing systems. How many times have you wished you could communicate with other parts of your household without the whole neighborhood hearing what you are saying? “Lights out for bed” and “Dad – could you let us know when the grill is ready ?” none of which needs to be broadcast beyond your property line – and now it doesn’t have to be. Whether you want to speak to your kids from your office or answer the front door from your smartphone, Stratagem Security has the home security systems you need to turn that idea into reality. Do You Want To Upgrade Current Intercom Systems? Already have some “smart” appliances online in the home? No problem! Stratagem Security is a premier security systems integration company for burglar alarms, fire alarms, network video, and access control systems. So we can “connect” your devices and systems together into one, seamless system. We offer professional installation and support for fully integrated security systems. Stratagem Security’s solutions are delivered exclusively through a network of home security experts. This makes it easy to get a smart home security system customized to your specific needs. In addition, your smart home security system will be seamlessly integrated into your home. We want to make your life easier, safer and more convenient! Contact us today! When looking to add an easy-to-use but effective intercom system to your home, Contact Strategem Security at 914.777.5700. Stratagem Security is licensed by the NYS Department of State as a security & fire alarm installer. At Strategem Security – we are not just known for providing residential and commercial security solutions in Westchester County NY – but we are also able to install and maintain “user-friendly” intercom systems as well. Contact us today and find out about our complete product list of “smart” home security systems in Westchester NY. We feature products that allow us to install easy door answering systems or video entry security systems to improve home security throughout your home. Whether you want to speak to your kids from your office or you want to answer the front door from your smartphone, Stratagem Security has the home security systems you need to turn that idea into reality. Do You Want To Upgrade Home Security Systems? Stratagem Security is a premier security system integration company for burglar alarms, fire alarms, network video, and access control systems. So we can “connect” your devices and systems together into one, seamless system. We offer professional installation and support for fully integrated security systems. Stratagem Security’s solutions are delivered exclusively through a network of best-in-class home security experts. This makes it easy to get a smart home security system that’s customized to your specific needs and seamlessly integrated for your home. We want to make your life easier and safer! You can only benefit from contacting us to find out what we can do for you to fulfill your needs.